Legal recreational marijuana has been the dream; politically and literally. This fall as individual states from the Atlantic Ocean to the Pacific adopted the dream as reality, it all seemed to be within reach. But the dreamers woke up to a different world on November 8. As California and other states adopted legal recreational marijuana or liberalized use of marijuana in state elections, the reins to the federal government changed hands. Did the dream of open marijuana use turn into a nightmare of federal enforcement? 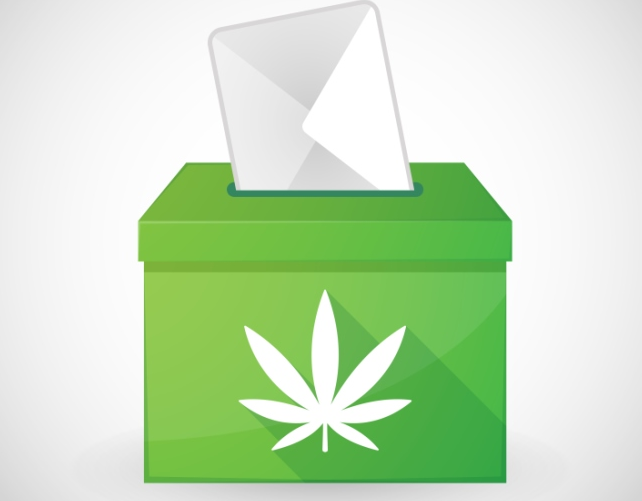 The election results are in…marijuana wins? Not so fast. Notwithstanding the will of the people in several states, the national election also led to a White House which will likely enforce federal marijuana prohibitions that have been largely ignored by law enforcement for nearly a decade. The question left open by the national election is…will the Trump administration and the intended Attorney General Jeff Sessions enforce the federal prohibition? How vigorous will that enforcement be in light of Sessions previous pronouncements and public positions? Several states have now passed ballot measures legalizing marijuana. If Senator Sessions, the Republican Senator from Alabama, is confirmed as Attorney General, there will be dire concerns for those involved in the marijuana business. While the Obama administration took a hands-off approach to those states that legalized marijuana, a new administration could change course and threaten aggressive enforcement. While storm clouds appear on the federal horizon, support for marijuana legalization, both recreational and medicinal, continues to grow throughout the nation, state by state. Prior to the November 2016 election, only four states (Alaska, Colorado, Oregon, and Washington) permitted the use of recreational marijuana. Now, a total of eight states have adopted laws legalizing the recreational use of marijuana. Additionally, a total of twenty-nine states now have laws regulating marijuana in some form. Arizona: Proposition 205 sought to legalize recreational marijuana for adults and permit the production and sale, but ultimately the ballot measure failed. But, medical marijuana remains legal in Arizona as it was passed in 2010. Arkansas: The voters passed Issue 6 to legalize medical marijuana for certain conditions. California: Proposition 64 was passed, which legalizes recreational marijuana in the state. Additionally, medical marijuana was legalized in California, under Proposition 215, in 1996. Florida: Amendment 2 passed to legalize medical marijuana in Florida. Maine: The voters have made recreational marijuana legal in Maine, as Question 1 passed. Massachusetts: Question 4, legalizing recreational marijuana, was passed in Massachusetts. Montana: The voters passed I-182, which expands Montana’s medical marijuana program. Nevada: The voters have made recreational marijuana legal in Nevada, as Question 2 passed. North Dakota: A limited ballot measure, Measure 5, has passed and it permits marijuana use for the treatment of specific conditions. Overall, the legalization of marijuana has been certainly on the rise. Now, under our new federal administration, the question remains: So what? Federal Illegality—Marijuana remains a Schedule I drug under the Controlled Substances Act. While the Obama administration decided not to take enforcement action against marijuana-related businesses, in states where the use is legal and the states robustly regulate the field, there is a new administration that is not bound by the previous administration’s stance and perhaps, will likely choose to exercise enforcement over these businesses. The fact that marijuana remains federally illegal and the uncertainty of President-Elect Trump’s administration’s position with respect to enforcement must be considered. That window of consideration will probably close fairly soon after Senator Sessions is confirmed by his colleagues in the Senate. At that point, it’s quite certain the federal government’s position on enforcement will be made clear. Businesses ready to engage in the lucrative marijuana enterprise will know the viability or its early demise. Depending on the White House occupants in 2020 and thereafter, the trade may revive. Out this year, back in four? Or eight? But is that any way to run a business? Compliance with State and Local Laws—For purposes of discussion, ignore for a moment the spectre of federal enforcement. In states where the adult use of marijuana has been legalized, there are numerous state and local laws in play that regulate the industry. In order to be compliant with the state and local laws, the business must know the statutes, rules, and regulations in place. Determining which laws are applicable can be difficult and time consuming. Running afoul of any state or local law could result in hefty penalties, suspension, or revocation of the ability to conduct the business. Further, because the industry remains federally illegal, there are generally several restrictions and limitations placed on the businesses under state or local law. Financing and Investors—Because marijuana remains federally illegal, businesses can have a difficult time obtaining bank accounts, loans from banks, and other traditional forms of financing. Many start-up businesses require a great deal of funds to get off the ground. Potentially, anyone involved in the marijuana business, even investors, could be federally charged with a crime as the substance remains a Schedule I drug. As such, it may be difficult for marijuana businesses to operate within financial institutions and secure capital from reliable sources and individuals and/or companies may not want to take such a risk. Tax Concerns—As the marijuana business is federally illegal, there are serious federal tax implications in owning and operating a marijuana business. For instance, the Internal Revenue Code denies business deductions for illegal businesses. Therefore, a marijuana businesses’ tax rate is significantly higher than that of a business that is operating legally under federal law. Additionally, states where marijuana is legal, can and oftentimes do, impose significant taxes on marijuana operations. Intellectual Property—Federally illegal marijuana businesses cannot obtain a registered trademark for the marijuana products through the United States Patent and Trademark Office. Thus, marijuana businesses face problems in developing and securing intellectual property. Market Restrictions—Getting the businesses name out to the public may be difficult as there are generally several marketing and advertising restrictions in the states where marijuana use is legal due to the federal illegality. Because advertising can be severely restricted and traditional forms of media may not engage in such advertising, it places limitations on the marijuana industry to reach consumers. Liability—In manufacturing and selling marijuana, there are certainly concerns with respect to liability if a customer suffers injury because of consuming the product. If a customer is injured because the marijuana contained pesticides, chemicals, mold, mildew, etc., then the business operator and/or manufacturer is exposing itself to potential lawsuits. Additionally, adequate liability coverage from insurance companies may be difficult to obtain as traditional insurance carriers may not want to cover federally illegal businesses. There is now a line separating federal prohibition from state permission. Time will inform us as to how this conflict of jurisdictions will be resolved. In the meantime, one would expect big business to adopt a wait and see before investing in what could one day be a lawful billion dollar enterprise if all the moving governments align.